It was love at first sight when I saw this sunbather tee from J. Crew, mainly because the illustration on the tee feels vaguely like it could be by the likes of an artist such as Picasso or Gauguin. According to the website, the illustration is actually by an artist named Virginie Morgan who is an illustrator and children's book author. Regardless, wearing this tee is like wearing a little piece of art wherever you go! 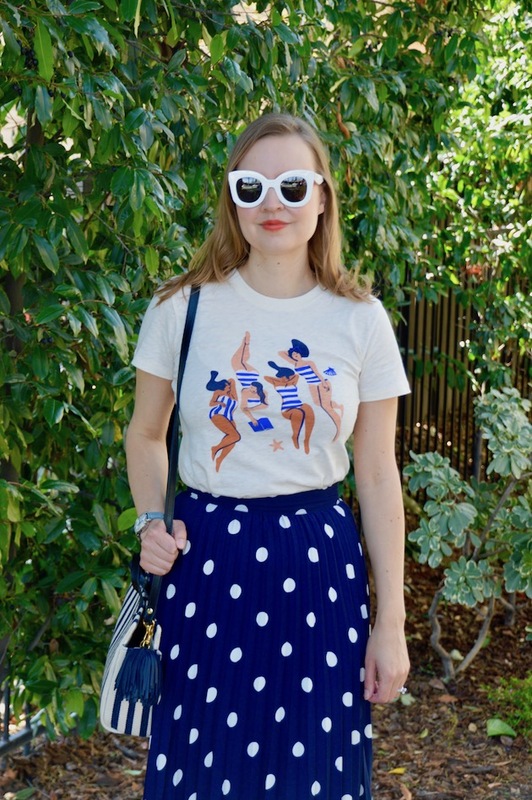 One of the other things that I liked about this tee is that the swimsuits that these bathing beauties have on are striped and you know how I love stripes! 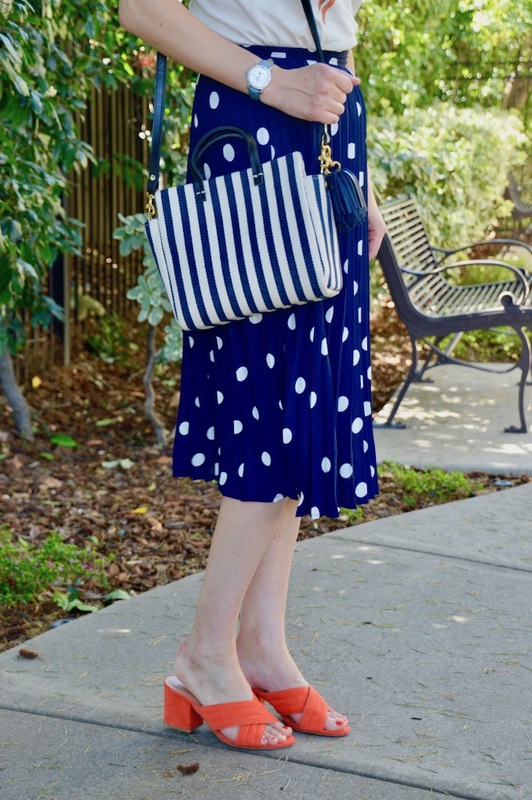 I played up the stripe motif by wearing my Clare V. striped tote. 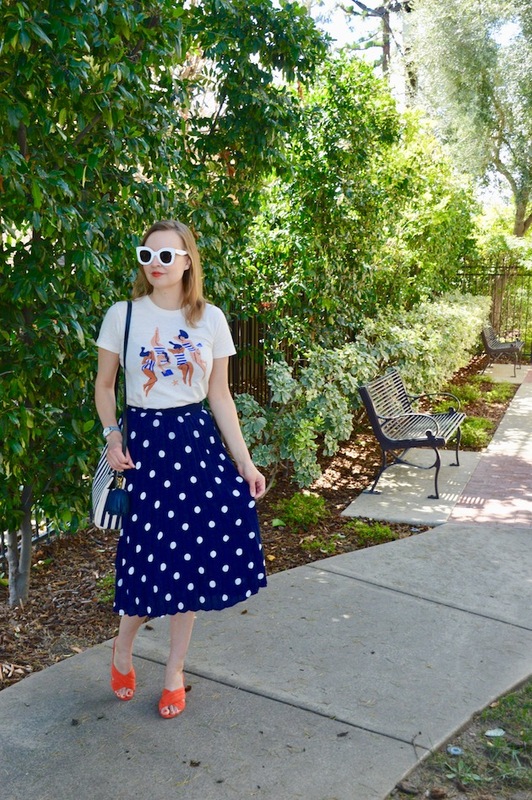 I also decided to do some pattern mixing by wearing a polka dot pleated midi skirt. Last, but not least, since these bathing beauties look very beachy I decided to wear my new orange mules from Target for a little summery pop of color. Now if only I could have worn this outfit while actually being on the beach, I would have been all set! Maybe once the weather warms up here I can make that happen! what size did you get for the top? is it TTS? I took a size small. I think it's pretty TTS. Hope this helps!